Michael Enright's 2006 interview with Amos Oz, who died on December 29th. 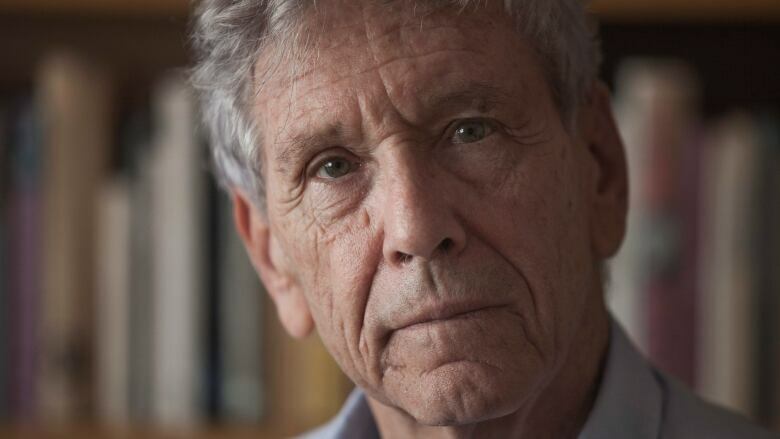 Amos Oz the prolific, award-winning author, soldier, peace activist and keen observer of Middle East politics, died on December 29th at the age of 79. One of his many conversations over the years with Michael Enright, host of The Sunday Edition, was about his book How to Cure a Fanatic. Published in 2006, it dealt with the nature of extremism on all sides of the political spectrum and offered a solution to the conflict in the Middle East. "Fanaticism and fundamentalism exist not only in Islam, but also in Christianity and unfortunately, in Judaism," Oz said. "Fanaticism and fundamentalism exist on the far left and on the far right, among nationalists, among radicals, among world reformers. It's a very widespread phenomenon. It's a bad gene." Oz published almost three dozen books and wrote hundreds of articles on literary and political topics. He was a perennial candidate for the Nobel Prize in Literature, which he never won, however many honours came his way including the Goethe Prize, the Franz Kafka Prize, Italy's Primo Levi prize and the French Knight's Cross of the Legion D'Honneur. He served in the 1967 and 1973 Mideast wars, and became a founding member of Peace Now, a group that opposes Israeli settlements in the West Bank. In his interview on The Sunday Edition, he described himself as a peacenik, but not a pacifist. "The pacifist will turn the other cheek, thinking that war is the ultimate evil in the world. I will not turn the other cheek because I think the ultimate evil in the world is not war, but aggression," he said, "and where we confront aggression, we sometimes have to confront it by force." Oz was one of the first public figures to endorse a two-state solution with Palestine and compared the war between Israelis and Palestinians to a real estate dispute. The only resolution, he said, is to convert the home into a semi-detached house. "It's a very, very complicated arrangement, but definitely preferable to the living hell in which we have both been existing for a century now," he said. "It's important to drop the sentimentalist dreams about a sudden burst of love between the parties, about an unlikely honeymoon after 100 years of a deadly conflict," said Oz. "The best we can expect is a painful divorce…and no one is moving out." His daughter Fania Oz-Salzberger said her father died from cancer at his home in Israel, surrounded by people who love him.